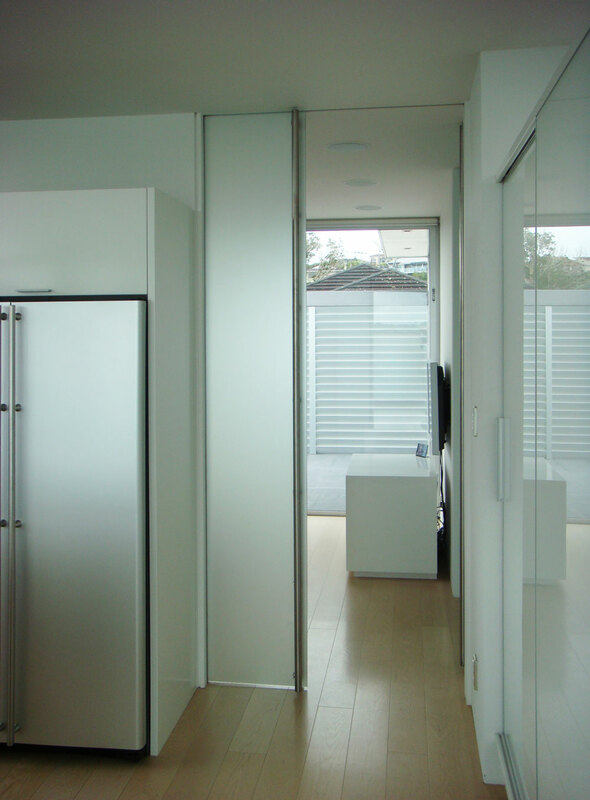 CS FramelessGlass doors create light spaces and continuous flow between rooms. The top clamp bracket may be either exposed or hidden above the head jambs depending on the desired look. Many different glass options are available including frosted, tinted, printed or branded. 10mm or 12mm safety glass must be used. Max. Size: Made to specification up to 2700 high x 2000mm wide. 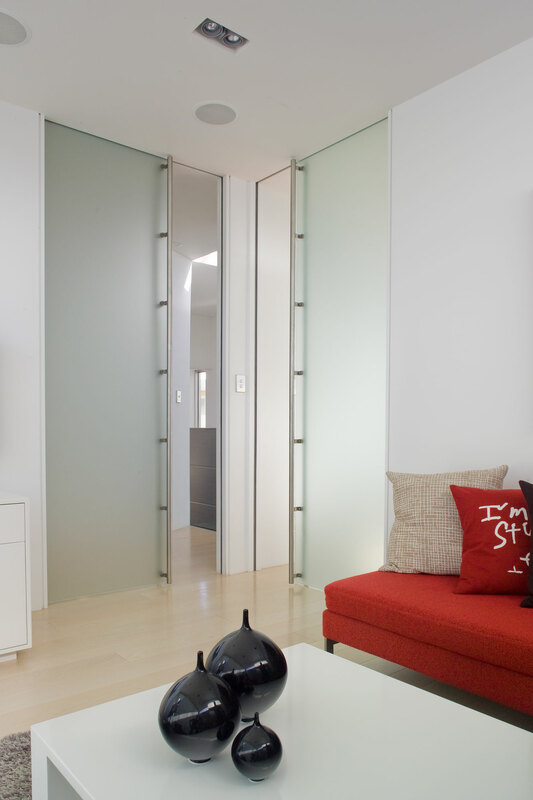 Frosted glass and other finishes including "branded options" are available. 10mm or 12mm safety glass must be specified. 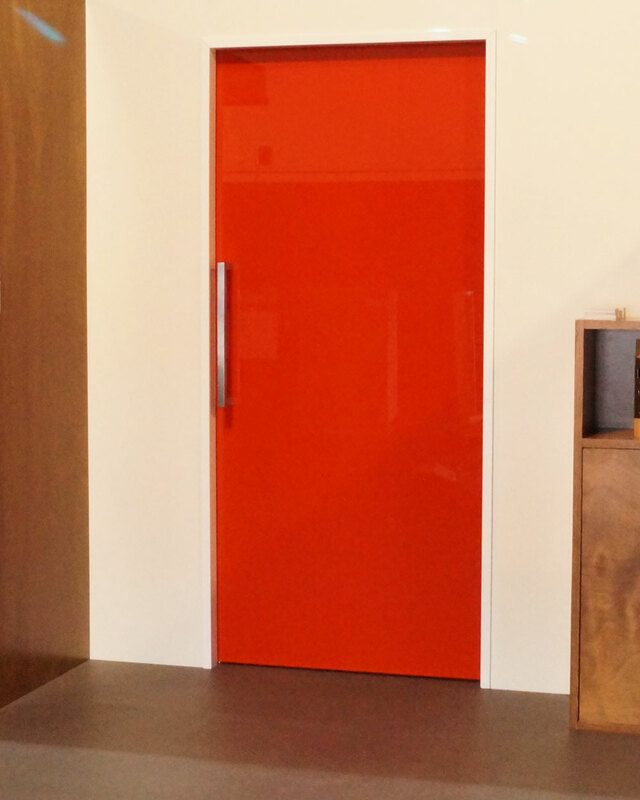 Contact us for more information on coloured glass or specialty glass options.